Estonian rights to The Sauna Cookbook sold to Pegasus! We are happy to announce that Pegasus has acquired Estonian rights to The Sauna Cookbook (Saunakeittokirja, Tammi 2014) by Katariina Vuori, Janne Pekkala and Vesa Ranta. The Sauna Cookbook will join good company: among other works published by Pegasus are cookbooks by Jamie Oliver and James Ramsden. 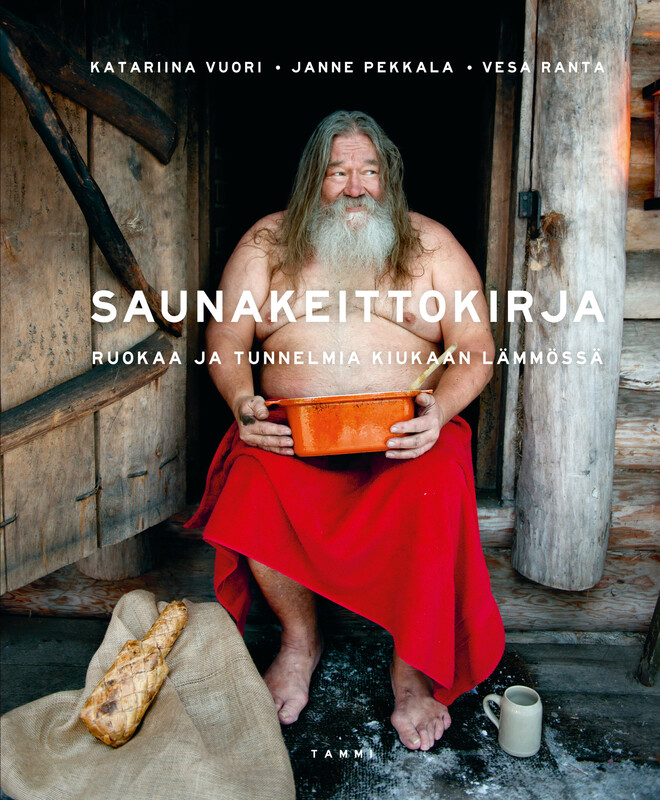 Filled with atmospheric and vibrant photos bringing the Finnish sauna culture to life, The Sauna Cookbook includes recipes ranging from moose stew with root vegetables and stuffed whitefish to cakes and pies – all completed using the heat of the sauna. Making use of the sauna’s hot rocks, stove and hot water in cooking is a long-spanning Finnish tradition, and these recipes update old traditions for the modern palate. See the book trailer (in Finnish, but with lovely footage) here!